Hello, lovelies. Remember my Bellabox post a couple of days ago? I've been trying out those samples and wanted to update you on the hand cream from A'kin. I've never heard of this brand before and decided to do a little background search on it. A'kin was created by The Purist Company, focusing mainly on skin care, body care and hair care, using the best botanical ingredients. Their products are free from parabens and sulphates, without being tested on animals. In other words, their products are labelled as vegan, as it doesn't contain any animal ingredients. 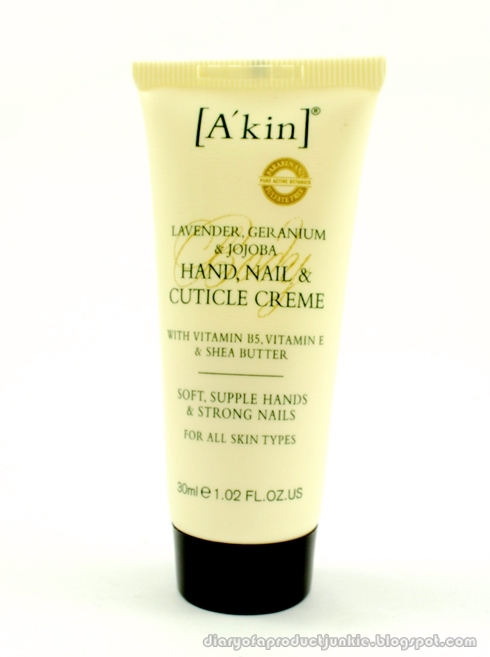 Discover soft, supple hands with the help of Akin Lavender Geranium & Jojoba Hand Nail & Cuticle Creme. 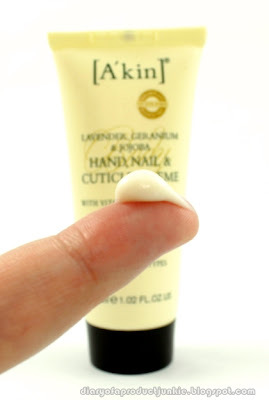 Akin’s Lavender hand cream is enriched with the concentrated nature of Vitamins E and B5, combined with Shea butter and Jojoba oil, to moisturiser hands and cuticles. Akin’s natural hand cream will leave your hands feeling soft, supple and intensively hydrated. Leaving no oily residue, Akin’s natural hand cream is ideal to use throughout the day. The size that I'm currently trying out is the 30 ml travel size from my Bellabox. At first sight, I immediately like the compact, travel-friendly size of the hand cream. It fits into my makeup bag without any problems whatsoever. 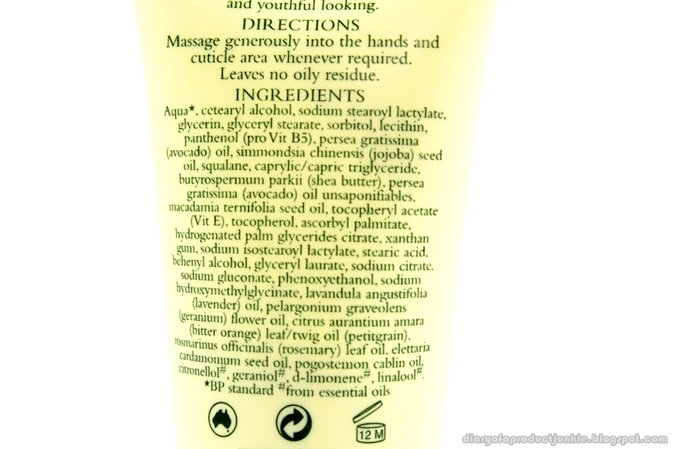 The hand cream has a thick texture, but absorbs rapidly into the skin. 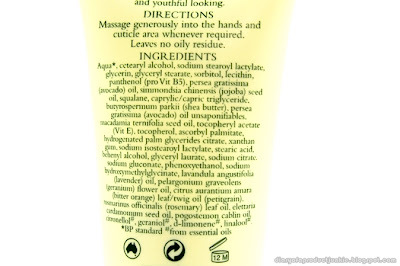 My hands feels moisturized and soft, without any of the greasy feeling that typical hand creams have. For those who love lavender, this hand cream is all about lavender. It soothing and calming to my senses every time I apply this hand cream. Overall, I enjoyed using this hand cream after washing my hands. It doesn't feel greasy afterwards and the smell calms me. I only wish that I can easily buy this at counters instead of online, but that option doesn't bother me that much in the first place, anyway.